Our insulated yurts yurts are of the highest quality. Authentic looks yet designed and made with the best materials and craftsmanship for the UK and European climate. 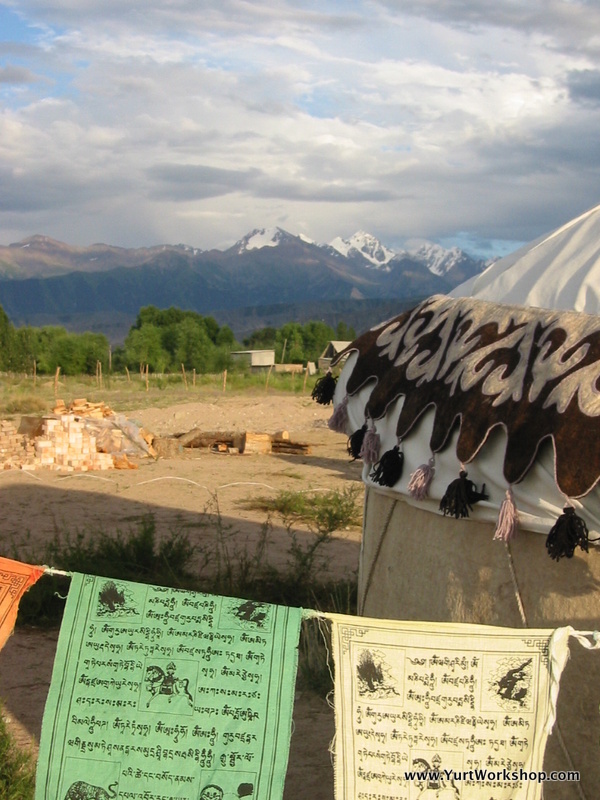 Further details of these yurts are found here, More about insulated yurts. We offer two frame weights, standard frame weight and the traditional frame weight. The standard frame weight, a wider lattice space than the deluxe frame, is what most yurt makers offer in the UK and Europe. Our standard frame weight is a great combination of strength, weight and beauty. The traditional frames have a closer lattice, unusual for UK and European made yurts, with 1/3 more wood in the lattice. It is felt to be more aesthetically pleasing to some. Owing to the increase in materials required and craftsman's time spent on the frame it is more expensive but in our opinion the result is worth it.